The Pra Pim Tukata Lek is the classic Pim of old, and a famously esteemed, and highly revered Pra Niyom amulet, of the Dtamra of the famous temple of Wat Plab. This particular 2516 BE Edition Blessing Ceremony was initiated and presided over by his Majesty the King Bhumipol Adulyadej (Rama 9), with the Great Luang Phu To of Wat Pradoo Chimplee presiding over the empowerments of the Buddha Abhiseka. 'Nuea Graeng Gae Pong Puttakun' (hardened with age with high quantity of Puttakun powders). 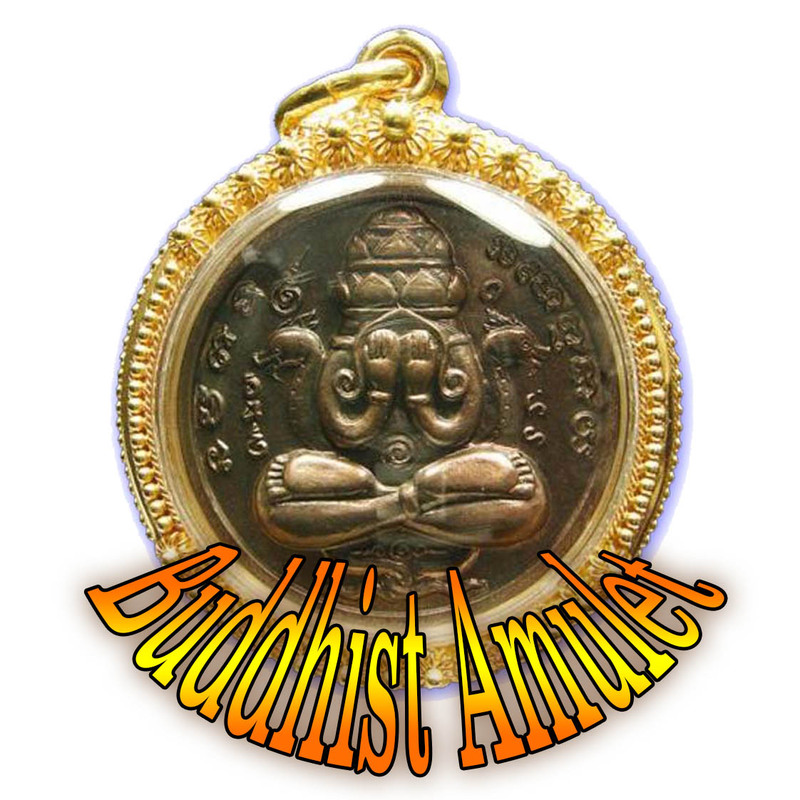 A large number of these amulets were not released directly in 2516, but were hidden away in the Kru hiding chamber in the Uposatha Shrineroom underneath the main Buddha Image, and empowered with the prayers of the monks, and passed through subsequent Buddha Abhiseka Ceremonies which were held in the shrineroom over the years. they were then removed from the Kru Chamber in the year 2534 BE, to celebrate the 169th Anniversary of the completion of the Uposatha Shrineroom building. 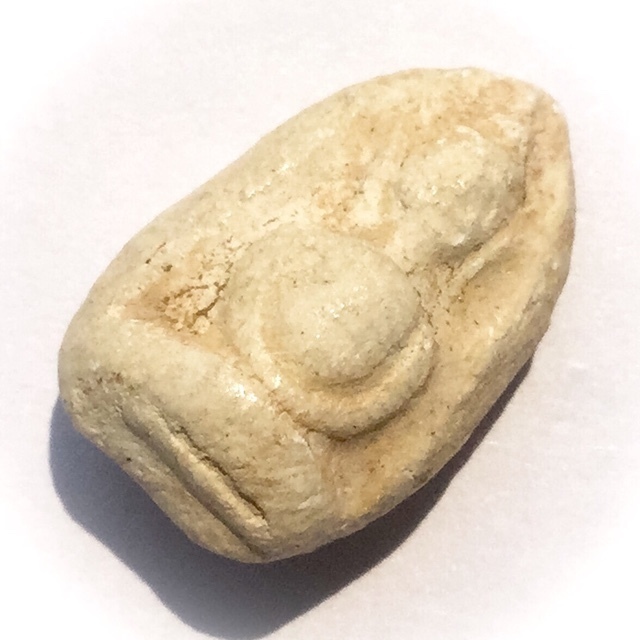 The origins of the Pra Wat Plab amulets are so old, that they precede the Pra Somdej Wat Rakang amulets, and is classed as an essential tool in developing knowledge and expertise in recognizing authentic mixtures and surface aging of Pra Somdej Wat Rakang amulets, due to these amulets using the same method as that used by Hlwong Por Dto Prohmrangsri of Wat Rakang did to create all of his Pra Somdej amulets with. 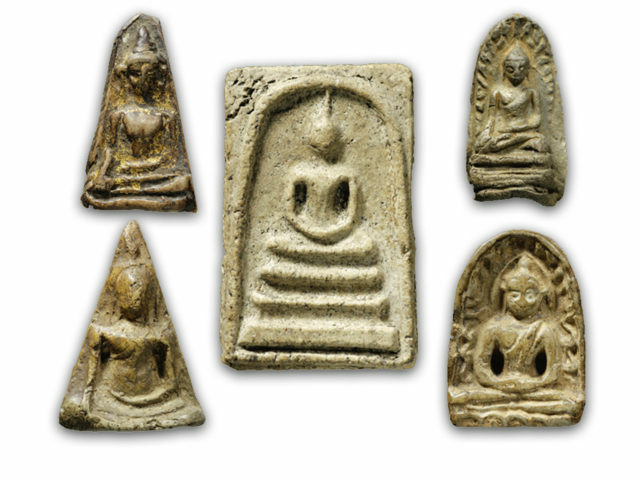 In addition, the original Pra Wat Plab amulets of early editions, were made by Ajarn Saeng, who was the teacher of Hlwong Por Dto in the Wicha of making Pra Somdej amulets using ancient methods obtained from an ancient stone tablet written in Khom Agkhara lettering. The surface features and texture of the Muan Sarn Sacred Powders of this amulet reveal great subtlety and classic eminence, of an amulet that carries a name of legendary proportions, and is a member of the Dtamra of accepted members of the 6 Eras of Pra Somdej amulet making. The Pragan (ears) of the Buddha are slightly curved outwards like crescent moons (Jantr Seek). The 'Pra Ongsa' (shoulders) of the Buddha image are small and tightly fitted which also causes the Pra Paha (arms) of the Buddha to be tight agaiinst the 'Pra Ura' (chest). The forearms (Pra Pahu) then curve in in a U shape for the hands (Prahadth) to clasp together. The Pra Ura (chest) and 'Pra Utorn' (belly) are quite swollen and protruding rather like a pregnant lady (Tong Pong), which is where this particular model (one of various models famously known from Wat Plab), namely the 'Pim Pong Lek'. There is also a 'Pim Pong Yai' which is the same design, but larger (the word 'Yai' meaning 'large' and 'Lek' meaning 'small). The 'Pra Pela' (lap) of the Buddha is curved like a frying pan base (some editions curve upwards and others downwards), and form the posture of Samati (Samadhi meditative posture of folded legs in lotus). The 'Pra Chanu' (knees) are widely set apart. It is said that the famous 13 models of Pra Somdej of Luang Phu To of Wat Pradoo Chimplee also possess the magical powders of the original ancient Wat Plab amulets, and that he received assistance in their making from the Samaneras and the Lay Masters of Wat Plab temple. This is the reason that the Amulets of Luang Phu To also possess Sacred Powders of Wat Plab in them too.